WA kyouto was the end! 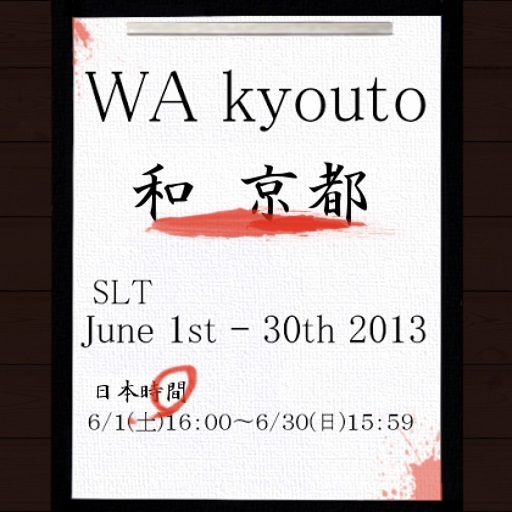 WA kyouto was ended in a great success at June 30th 0:00 a.m.(SLT). Thank you for all participation shops and Thank you for all guests. The all person who donated for us. Really really thank you so much! We are really really thank you to everybody. We say the word of thanks to all interested parties that were participate in event in this blog. Please expect to new events in the future of project P&K. If decide next event,we guide you in facebook and this blog. ::kDm:: almost old items are change to Free Gift.